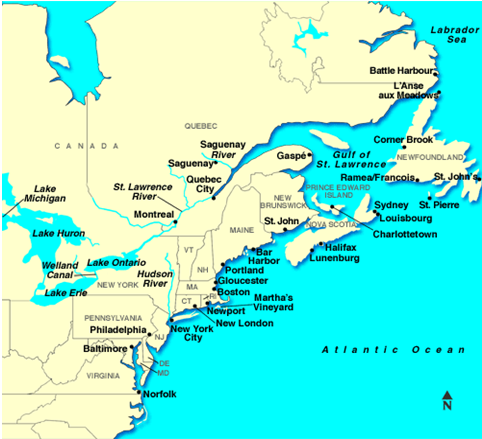 The St. Lawrence River is still a relatively new destination on the North American cruise market. Recent federal and provincial spending on ports of call has helped upgrade reception facilities and improve the quality of the visitor experience. In this highly competitive industry, where a single cruise ship call can generate thousands of dollars as well as significantly increase a destination’s visibility, do we measure up to our competitors? Firstly, who are they? Secondly, how do they market themselves and what is their market share of this sector? In 2007, Business Research and Economic Advisors (BREA) calculated that 2 million cruise passengers visited Canada during nearly 1,000 calls. In total, the industry generated some $2.3 billion and created 16,600 jobs. BREA estimates that 6% of this money was spent in Québec while 21% was spent in the Maritimes. In 2009, Québec welcomed some 166,000 passengers and 63,000 crew members. According to estimates from the Québec Ministère du Tourisme, cruise passenger spending will rise from $73 million to $275 million by 2014, an annual growth rate of 17%. A well-established cruise destination, the Maritimes have engaged in promotional and representational efforts for many years. They can be considered both competitors and business partners, because Maritime calls can enhance the itineraries of cruises headed to Québec. 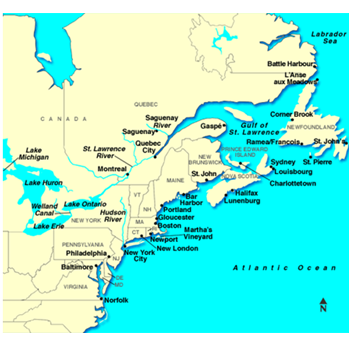 The primary ports of call are Charlottetown, Gros-Morne, Halifax, Saint John and Sydney. Though history is the main attraction (museums, heritage sites, historic villages), outdoor recreational activities are also a big draw (hiking, beaches, kayaking, golf, whale-watching and other excursions). 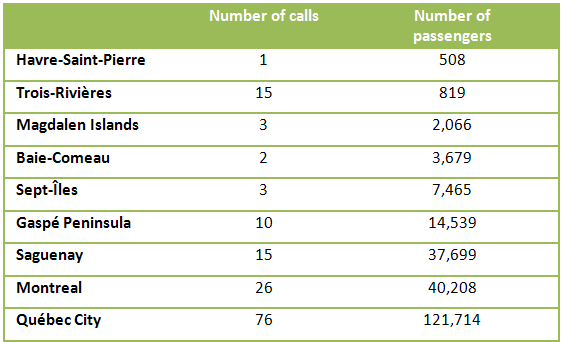 Table 2 illustrates the cruise visitor numbers recorded for the year 2009 in the major Maritime ports of call; Québec City was added by way of comparison. According to a 2008 study by the PEI Tourism Research Centre, 80% of the cruise passengers visiting Charlottetown came from the United States, 69% were 55 years or older and 85% were on their first visit to the Maritimes. Let us take a closer look at our neighbours to the south. New England benefits enormously from its proximity to the major client bases of New York and Boston, which are the departure points for numerous cruises heading to Canada, as well as those for Bermuda and the Caribbean. The table below provides a brief overview of the cruise industry spin-offs generated in New England. According to these findings, the state of New Jersey attracts fewer passengers than the province of Québec. However, according to figures from BREA, Québec attracted far fewer cruise-related spin-offs, generating only $138 million in 2007, compared to $387 million for New Jersey in 2008. In terms of employment, all of Eastern Canada (including the Maritimes) generated only 2,000 cruise-related jobs, compared to the 6,814 for New Jersey recorded by the CLIA. Cruise Maine presents the change over time in the number of cruise ship calls since 2003. In 2008, Portland welcomed a total of 48,000 passengers, during 35 calls. 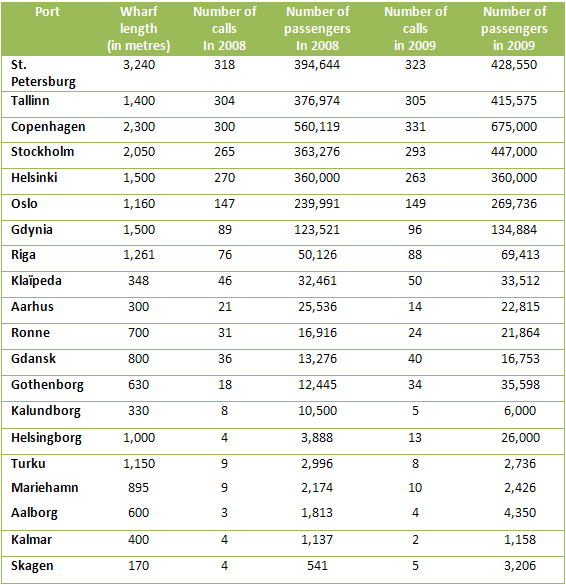 In 2009, the numbers rose to 69,852 passengers during 45 calls. Reservations for 2010 are predicting 76,867 passengers during 70 calls. The Baltic Sea region is booming. Europeans are increasingly attracted to the area and North Americans are also showing greater interest in these destinations. The biggest consumers of cruises, North Americans are already well-acquainted with destinations like the Caribbean, the American West Coast and Alaska. The search for new destinations has led them to look at Mediterranean and Northern European cruises. The Baltic Region’s position on the cruise market is, in many ways, similar to that of the St. Lawrence: a destination offering culture, history, Northern landscapes, outdoor activities, coastal villages, etc. 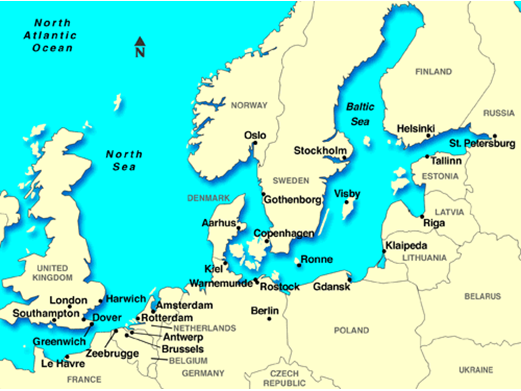 Baltic Sea destinations vary widely in terms of economic spin-offs and port facilities. Port facilities in the Baltic Region are undergoing numerous improvements. The city of St. Petersburg has built a new terminal for cruise passengers that should be completed sometime in 2010. Hamburg inaugurated its new cruise terminal in August 2009. The CLIA also reports that Stockholm, which has been operating one new terminal since 2008, will be opening another in 2010. It will house a museum of photography, among other things. All signs indicate that St. Lawrence ports are competing in an increasingly well-organized and diverse market. This means it is vital to continue developing port facilities and, more importantly, work to create a high-quality product that stands out from the competition. – Business Research & Economic Advisors (BREA). “The Economic Contribution of the International Cruise Industry in Canada 2007,” NorthWest CruiseShip Association, Cruise Newfoundland and Labrador, Cruise the Saint Lawrence, Atlantic Canada Cruise Association, Cruise BC, p. 4. – Cruise Line International Association (CLIA). “2008 State Economic Fact Sheets”, Cruiseindustryfacts.com, consulted January 2010. – Cruise Line International Association. “Fantastic Cruise Record for Stockholm, Fast Facts”, November 2009, p. 3. – “Cruise ships brought $3M to P.E.I. in 2008”, Telegraph Journal, May 2nd, 2009. – Department of Tourism, Culture and Recreation. 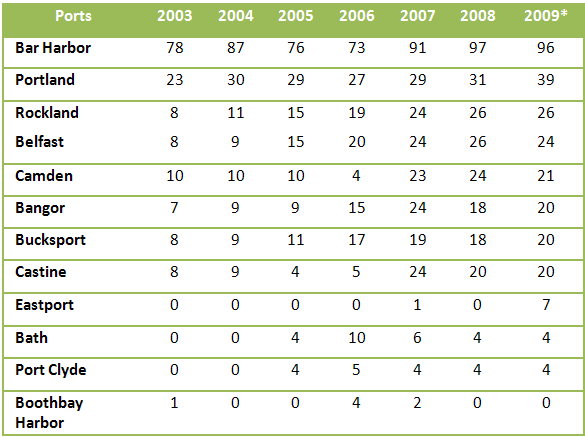 Backgrounder Year-End: “Provincial Tourism Performance 2009 and Early Tourism Outlook 2010”, New Foundland and Labrador, Tcr.gov.nl.ca, consulted June 23, 2010. – Malhère, Manon. “Baltic Region: OPS for Sustainable Port Development”, Europolitics Regional, Europolitics.info October 12, 2009. – Ministère du Tourisme. “Les statistiques d’achalandage de 2006 à 2010”, 2010, special compilation. – Peter, Tom. “Cruising right along; Ports officials pleased with tourist season”, The Chronicles Herald, Halifaxemployers.com, January 4, 2010. – UK and EIRE, “Seatrade Cruise Review”, Seatrade Communications, September 2008, p. 45. – Sondage effectué auprès des passagers et membres d’équipage au cours de la saison 2009, ministère du Tourisme, 2009. Interesting to see how the ports compare. Very well-written article!